A graceful Cormorant luxuriates in the morning by the waters’ edge. . . This entry was posted in Birds, Marsh/Wetlands and tagged Double-crested Cormorant. Bookmark the permalink. Like studio portraits. Very nice. Thanks Mike – they made great models! Beautiful shots, and don’t you love those blue eyes! So nice to hear from you, AB. I’ve been very lax about posting and commenting the past couple of weeks. Yes, the Cormorant’s eyes really sparkle in the sunlight! Incredible photos, BJ — I love the pose, the hooked bill, the azure eyes, and the bending webbed feet. 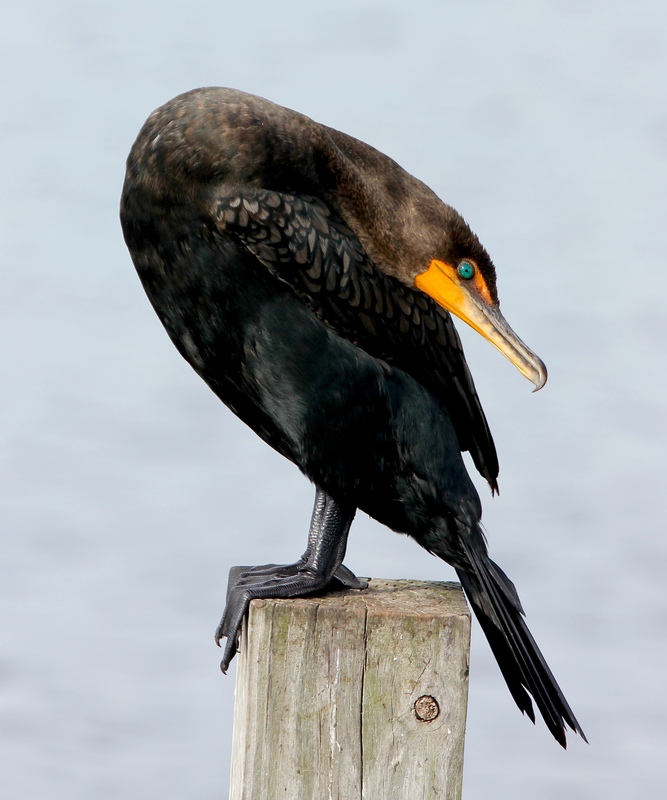 Cormorants can look really gracious when they try~! What a stretch workout! Remarkable capture, Bj! I’ll always connect Cormorants with Toulouse-Lautrec now, thanks to your post!